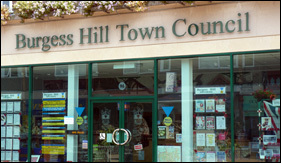 Janice Henwood has her work cut out for her on Burgess Hill Town Council as she is the only non-Conservative to be elected across all six wards. The Tories secured 17 of the 18 seats available with 50.4% of all votes cast going their way. With only one minority councillor, it will be impossible to add items to the agenda for debate as you need two people to table a motion to the council. How do you feel about The Tories having 17 of the 18 seats on the town council? Do you see this as healthy for local decision making?